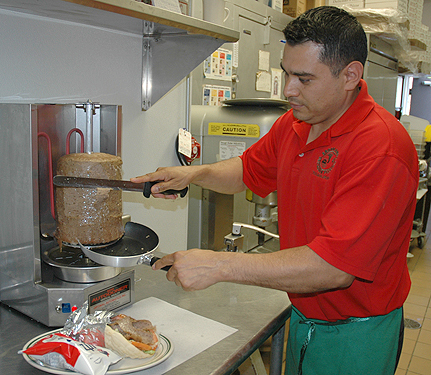 Kings NY Pizza has been in the Italian food industry for more than 20 years. They opened the Broadlands Brick Oven Pizzeria in Ashburn, VA in 2004. They are also associated with Kings NY Pizza of Hagerstown, MD and Kings NY Pizza of Shepherdstown, WV. Owner, Polidecto Hernandez (pictured left), takes great pride in his business – they are family owned and operated and strive to provide the best Italian food and excellent customer service possible. Kings NY Pizza uses only the finest and freshest ingredients, the staff is friendly and their family-friendly atmosphere is warm and inviting. Whether you are coming to enjoy a delicious New York style pizza, pasta dish, salad, hot or cold sub, or entree, there is something to please everyone on the menu.